My previous post "INCLUDING PEOPLE WITH DOWNS"
What Dawkins does not understand is that people with Downs call the world to a higher standard of love. Click on image below or https://www.youtube.com/watch?v=NfuaNhXI1Ao for a beautiful song written by Steve Mosher, the father of a daughter with Downs. 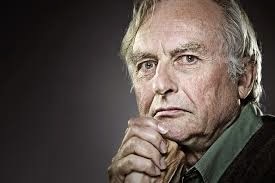 It is perhaps the most poignant response to Richard Dawkins' comments.